As begging is perceived a lucrative business and long-standing means of subsistence, many children are hired out as guides to beggars by their parents or guardians. The parents see this as a makeweight to their sources of income, too, that doesn’t need an initial capital outlay. What an easy start-off capital! Most children that are rented out by their parents to beggars as guides turn out, in the end, to be street lords or, supposedly, prostitutes of some sort. Learning from the street school of hard knocks and having scarified faces and toothless mouths, they respect nobody, nor do they pity any soul. They may likely take up crime as their hobby and taking lives as the only means to ventilate their anger. One such child, I was told, lost his life when trying to take alms from a moving vehicle. The female beggar, the lad guided, took him as her adopted child. She fed him, clothed him and sheltered him much more than his parents. He stopped reporting to his parents and travelled with her on her many begging trips. On that fateful day, the male guide, who was paying unwavering loyalty to the female beggar, ran after one of their regular clients. Unbeknown to him the traffic light of the street he was roaming on had given vehicles on the other lane a green light and a car ran over him to the sheer agony of his beggar master. One asks: what is the sole purpose of bringing children into this world if one is not ready to take up responsibilities befitting parents? Are children equipment or structures to be loaned out? How many of them have experienced a lost future, let alone attending school? If male-guides are initiated into different crimes, what then will be the fate of female-guides? Many beggars, for the time being, prefer female-guides to males. The reason is simple: it fetches them more money than roaming the streets with male ones. Beggars with female-guides command more patronage in the eyes of their clients than those with male-guides. Beggars use them as bait to attract irresponsible elements. Nevertheless, one question we fail to answer, intentionally perhaps, is: why cosmopolitan cities like Kano and Lagos have the highest number of beggars? This is the effect of the influx of people from especially rural areas into major cities in search of greener pastures. Due to the influx, the concerned authorities cannot contend with some major socio-economic problems affecting the cities. One such problem is street begging, which is on the rise exponentially in our cities. A report published by the Daily Trust of August 18, 2017, claimed that many beggars in Kano state had returned to their usual businesses despite the state government’s enactment of a law that bans begging in the state. It can be recalled that the bill was first passed by the state House of Assembly in 2013. Two things greeted the passage of the bill by the state assembly despite many arrests and the whooping N10,000 fine against violators: thousands of physically-challenged persons took to the street to protest the law banning street begging, as reported by many media outlets at the time. Why? – the state, as most of the protestors argued, has not established a commission to cater for the need of the disabled. Not only this, the government should have addressed serious social issues, like destitution, that force some people to engage into street begging. However, in 2015, Lagos State launched a campaign to deal with street begging and destitution, for the second time perhaps as a last ditch attempt to overcome the problem. As the state Head, Public Affairs of the Ministry Youth and Social Development, Kemi Ikotun Adekusibe put it, the menace of street beggars and destitutes on Lagos State streets has reached an alarming stage. Beggars of different types have become an eyesore on Lagos streets despite the operations carried out by the states’ Rehabilitation Department. People travel from as far as rural areas of the Northern states to Lagos State to beg. Many beggars have been jailed and fined exorbitantly; but they could not give in to the pressure. A young man from a state in Nigeria, name withheld, had to journey to Lagos state to bail out his mother, who was arrested by the Lagos state’s Rehabilitation Department operatives as a street-begging-ban defaulter. His family had to raise N30,000 to pay the fine. To the bewilderment of many people including the old woman’s family members, she has gone back to her normal business there. Maybe she has devised some strategies to outwit said rehabilitation department’s operatives. Of course, there has been too much talking on the menace of begging and threats it poses to our society. What therefore are the lasting solutions to street begging? 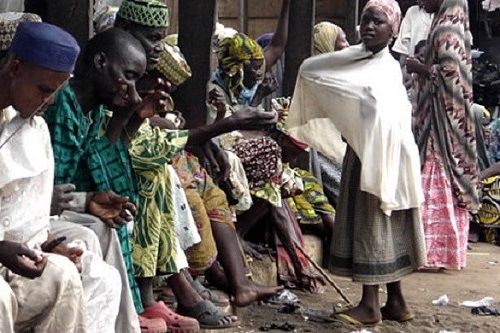 Previously, Lagos state tried to put a stop to street begging by creating a rehabilitation centre saddled with the responsibilities of getting rid of beggars off its streets and Malam Ibrahim Shekarau of Kano State spent millions of naira to improve the condition of almajiri during his tenure; but the schemes seemed the opposite of what it is supposed to be. Clearing beggars off our streets should not be the priority. Rather finding them a means of earning a livelihood will be a better option. Perhaps that is why beggars are defying jail terms and fines to beg. Government at different levels should build rehabilitation centres not only to get rid of beggars but to rehabilitate them. Special social welfare programmes should be initiated to cater for the need of especially physically-challenged persons. This may include monthly allowances to help the disabled. If Great Britain can create a welfare programme for single mothers, why can our governments not do the same to the disabled and destitute? Many state governments have banned street begging without giving some thought to the fate of beggars. Strangely enough the states have failed to put in place genuine poverty alleviation programmes to soothe the pain of the destitute. Street begging has become ingrained. It should be pulled out from the source to sanitize our societies. 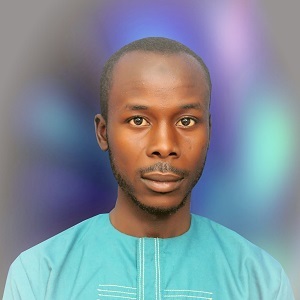 Abdulyassar Abdulhamid, Kano based, is graduate of B.A English from Bayero University, Kano. He is a budding writer, social analyst, freelancer at Sunrise Language Practitioner (SLP) and regular contributor to Nigerian dailies. His writings have appeared in The Communicator, a magazine published by Kano State Polytechnic and in Dailytrust, The Triumph and The cable newspapers. He has a strong interest in literary theory. Next post What Makes India’s First ‘Smart Village’ Tick?